Bikes and cakes. What more is there to life? Last week I made a big bike-related decision: I decided that I wasn’t really having fun on Rosie, my road bike, as she is just too different from my nice stable mountain bike. I got Rosie as a bike that I could just go out of my front door and ride, to get fit and to get some fresh air. 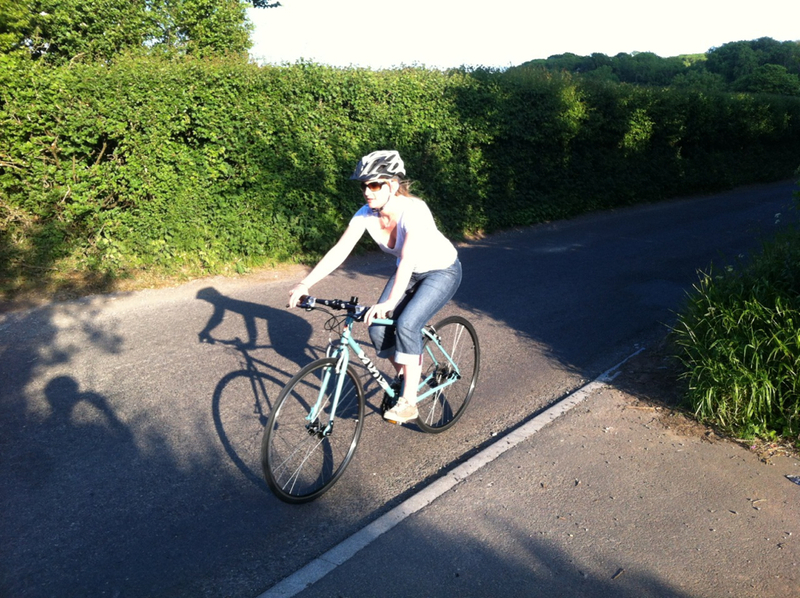 But instead I find myself avoiding her, because I’m just not keen on the riding position a true road bike provides. So, I’ve put Rosie up for sale. 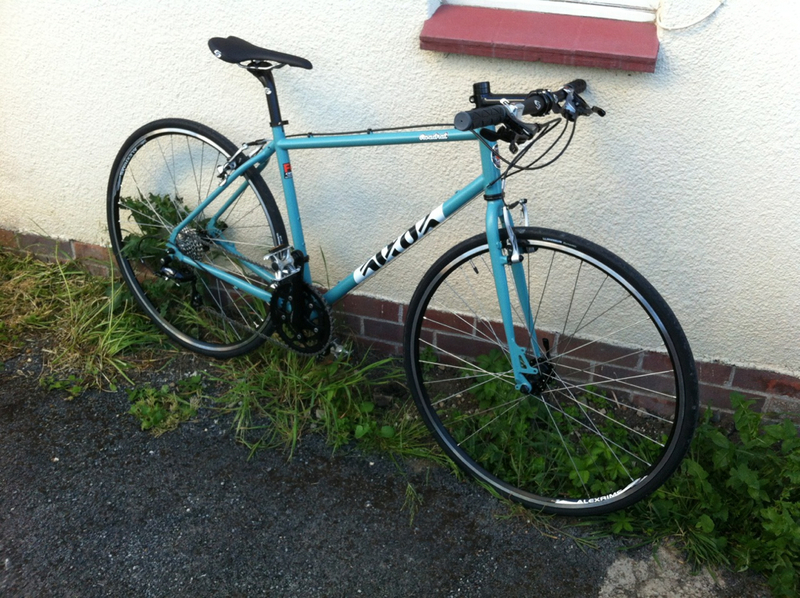 You’ll find her on ebay – take a look if you’re after a small road bike. I think you’ll agree that he’s very handsome! Cotic sell the Roadrat as being “Faster than a mountain bike on the road, way more fun and versatile than a road bike, it’s your perfect ‘other’ bike”. And so far, I really do agree. It’s essentially a road bike that’s been designed for mountain bikers, so is a bit more upright and doesn’t have those dropped bars that I get along with so poorly. So far I’ve only taken Ratty out for a short spin and I still have some work to do on set up – the stem and steerer post are too long, I need different pedal and my own saddle – but I am already in love. I don’t feel the need to be on the brakes the whole time I’m going downhill and I feel perfectly confident steering and signalling. All in all I think Ratty and I are going to get along handsomely! Poor quality phone pic, but you get the idea! PS – I am loving the duck egg colour!